How to Increase iPhone Call Log History? Hi there! My name's Rachael. I was wondering if there's some way to increase iPhone call log history limit. Actually I want to find a phone number that I didn't add to the contacts list several months ago. In case it is possible, if anyone can help to extend iPhone call log history limit will be much appreciated! We offen see such kind of query online and subsequently, thoroughly research on it. Hence, we would like to write this post and address this query to make you informed about whether you can increase iPhone call log history or not. 1. Can You Increase iPhone Call Log History? 2. 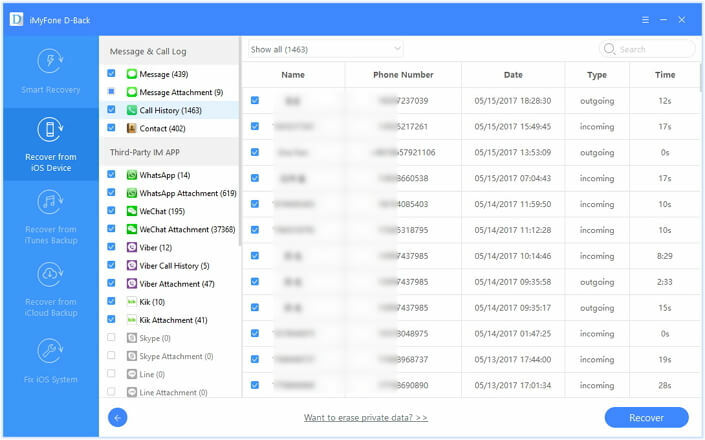 How Can You See and Download More Call Log History? Well, unfortunately the answer to the question if you can increase iPhone call log history is negative. By default, iPhone keeps a record of your call log history of up to 100 entries and is restricted to that limit only. There's no other way to extend iPhone call log history to any other specified limit. 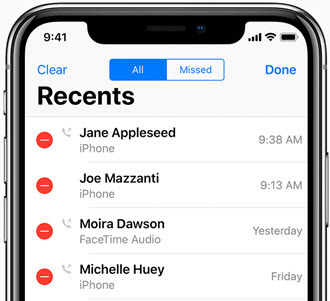 We understand that this might not be a good news for you but you can still suggest Apple about the new feature to increase iPhone call log history by visiting Apple feedback page. And who knows, Apple may consider it as an essential element and launch a new update with the functionality to extend iPhone call log history limit. Furthermore, don't get disheartened. We've always got your back with a Plan B workaround that will certainly help you to see and download more iPhone call log history. 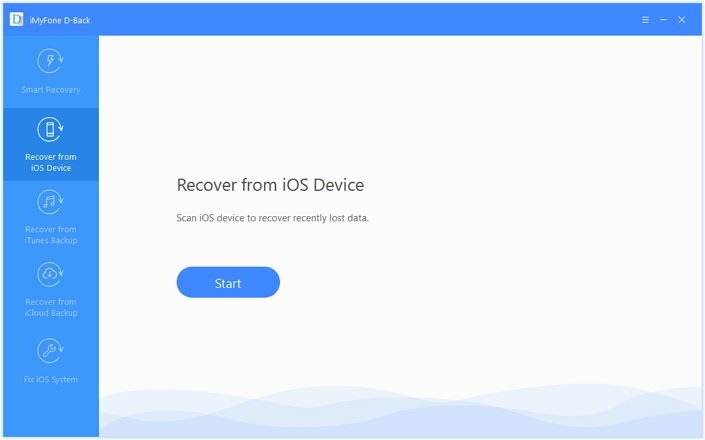 Four different powerful data recovery modes namely Recover from iOS device, Recover from iTunes backup, Recover from iCloud backup and Smart Recovery are offered. iMyFone D-Back offers the utmost probability to recover almost all your data back with its advanced technologies. 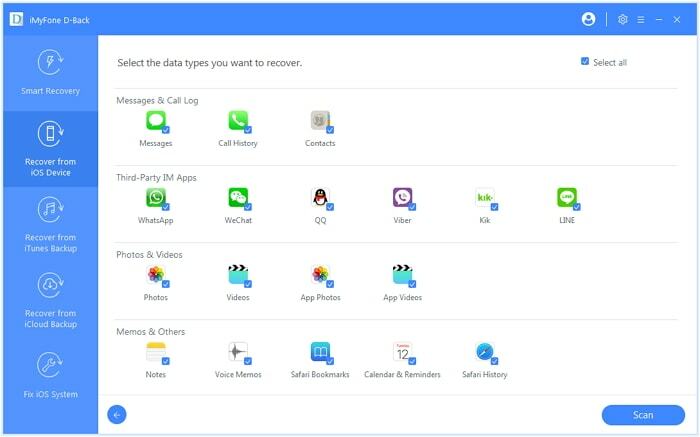 With its data recovery feature, you can not only recover the call history but also can recover other 20+ data types like messages, contacts, photos, videos, WhatsApp, WeChat, notes etc. It supports all iOS devices, even the iPhone XR/XS(Max) and is fully compatible with iOS 12. Let's start from downloading iMyFone D-Back from official website and then follow the steps below to see more of your call log history although you cannot extend call log on your iPhone. Step 1 – Install iMyFone D-Back and launch it afterwards. Now, select 'Recover from iOS Device' mode from left menu panel. Hit the 'Start' button to initiate the process. Step 2 – Now, get your iPhone connected to your PC using a genuine lightning cable and hit 'Next'. You'll now be asked to select the data types that you wish to recover. Select 'Call History' in this case and hit 'Scan' button thereafter. Step 3 – As soon as the scan will be completed, the software will then display the recovered Call log history of your iPhone on the next screen for your preview. Once you're done checking the call log history and if you wish to download it to your PC, you need select the entries that you wish to download and hit 'Recover' afterwards. That was all about today's post on how to increase iPhone call log history and we are now positive that you have full understanding on it. Though, the iPhone doesn't offers you the privilege to extend iPhone call log history and there's no indication from Apple that if it is going to be available in any future firmware updates. You can always make use iMyFone D-Back to see and download more call log history in a hassle free way.